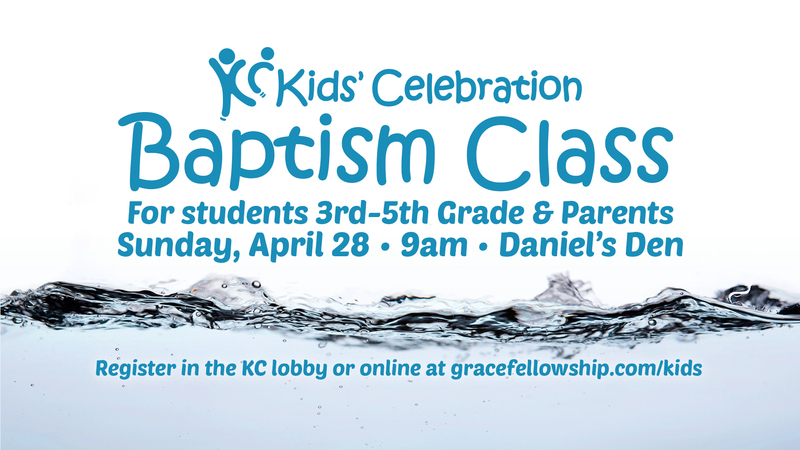 Our KC Baptism Class is being offered for students in 3rd-5th grade on Sunday, April 28th, at 9am in Daniel’s Den. This class is all about what baptism means, why we get baptized, and helps kids decide if they are ready for baptism. Kids must have a parent/guardian accompany them to this class.